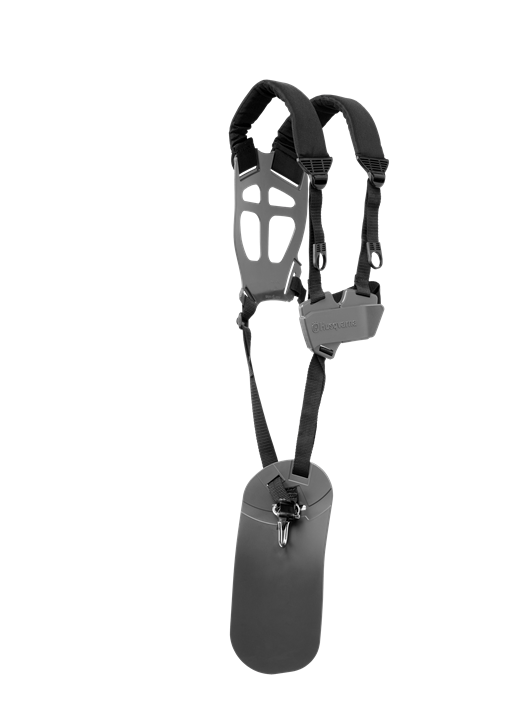 An ergonomic harness developed especially for use with our battery trimmers. It distributes the load optimally between shoulders, chest and back. Wide padded straps and wide back plate reduce the load on the upper body.Equipped with a plain hip pad that has a travelling connection so that the machine can be maneuvered with a minimum of body movements, further saving the user’s back.